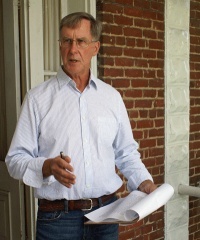 Bob Fenwick was elected to Charlottesville City Council in the November 5, 2013 general election. He was defeated in the 2017 Democratic primary. ↑ 5.0 5.1 Web. Dems sweep City Council elections, Graham Moomaw, Daily Progress, World Media Enterprises, November 8, 2011, retrieved November 8, 2011. ↑ 6.0 6.1 6.2 Web. Fenwick, Long announce bids for City Council, Sean Tubbs, Charlottesville Tomorrow, March 24, 2017, retrieved March 29, 2017.